We are a specialist in recruitment and career development. As you work towards your next role or your next new hire, we are here to make that journey as painless as possible with honest and open advice and guidance. Our aim is to get it right for all parties and make sure that the stress of moving job or hiring into your team is minimised in the knowledge that your decision is right for the long term. 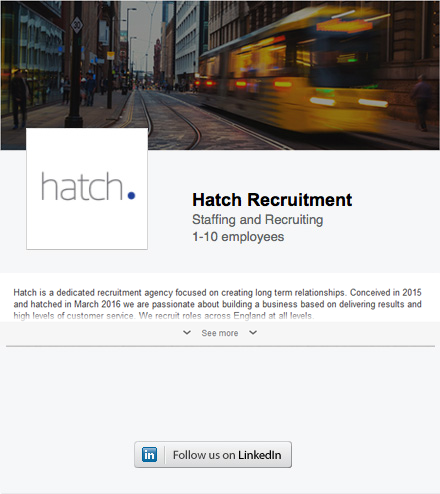 At hatch, we will work on an Executive level role with the same focus on quality and honesty as we would with a Director’s position. Wherever in the country you are looking, whatever the role, then you can count on us to help you with your search.